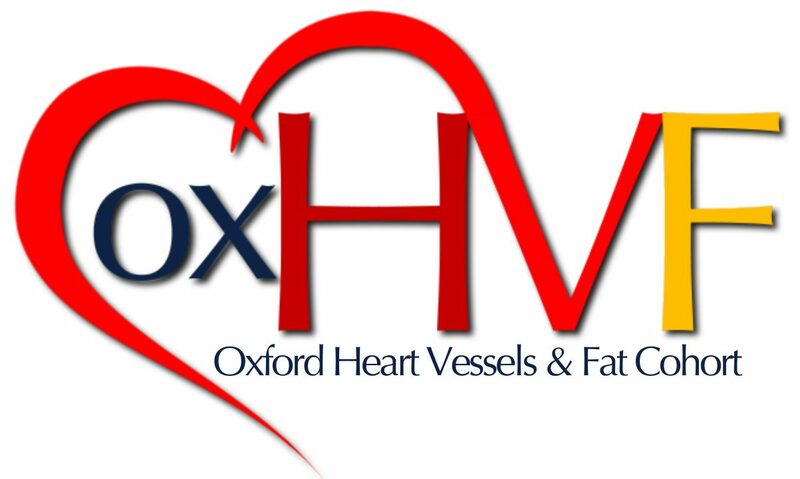 The Oxford Heart, Vessels & Fat (OX-HVF) cohort consists of a cluster of clinical studies (namely ART Vascular, Bypass Grafts, AdipoRedOx, ORFAN and IMPACT), which provide synergistic results allowing the deployment of a multi-level strategy to understand the mechanisms of cardiovascular diseases. As each one of the individual studies approaches the issue of cardiovascular disease pathogenesis from a different angle, the OX-HVF cohort provides a unique and powerful platform that includes collectively more than 1500 subjects aiming to exceed 4000 by 2020. The strength of the cohort is the direct access to human tissue (vessels, myocardial and fat biopsies, DNA, plasma and others), in combination with extensive non-invasive cardiovascular phenotyping that includes cardiovascular computed tomography angiography, ultrasound and others. The OX-HVF cohort also collects prospective 10-year clinical outcome data and is linked to the NIHR Bioresource.